A habit is something that you do regularly. You do it without even thinking about it. 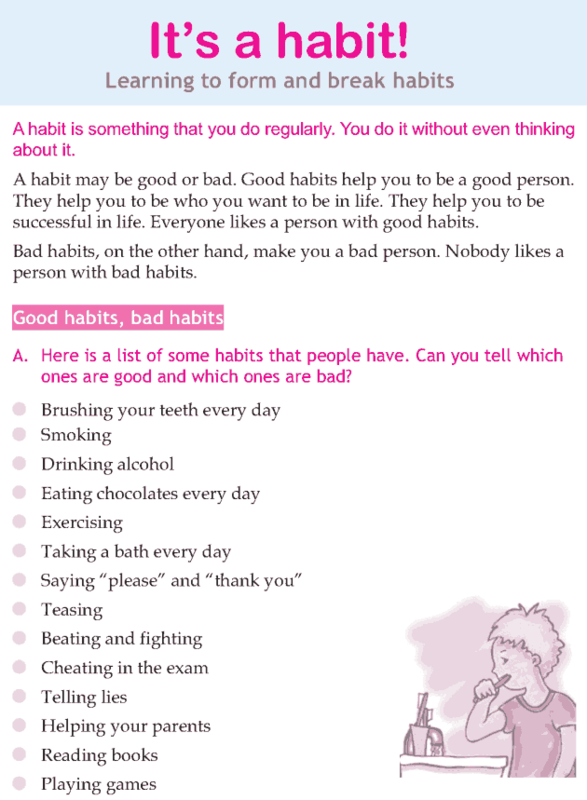 Of course we all have good habits and bad habits. If you want to be successful in life, you must learn to turn your bad habits into good ones.